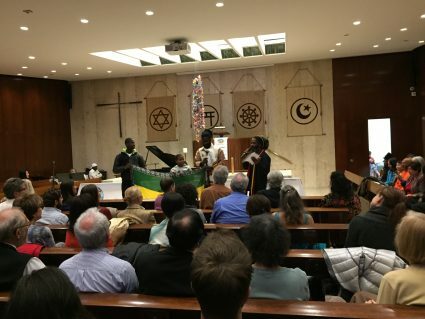 On October 28, 2016, the Sacred and Transcendental Arts Working Group brought together representatives of NGOs, CSOs, UN Agencies and Missions along with performers of sacred and secular music in a program called, “Opening to the Spirit of the U.N.: Music, Meditation and Mindfulness.” This program focused on how the sacred arts of music, meditation and mindfulness can be vehicles for support of Sustainable Development Goal 16 (Promote Just, Peaceful and Inclusive Societies). The event featured ceremony, inspiring speakers and a variety of music. This event was sponsored by The Sacred and Transcendental Arts Working Group of the NGO Committee on Spirituality, Values and Global Concerns-New York (“CSVGC”) as a closing to the 2016 Week of Spirituality, Values and Global Concerns. 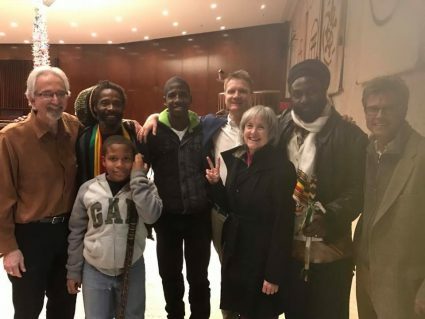 Deborah Moldow, the Representative to the United Nations for the World Peace Prayer Society, helped to organize the event. 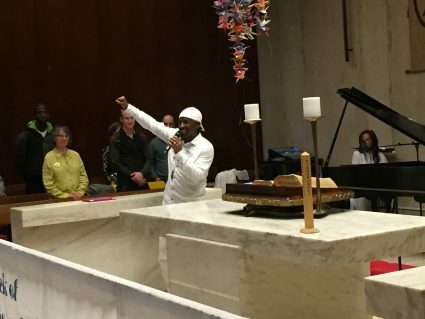 She offered a Call to Purpose that included the prayer, “May Peace Prevail on Earth” – and the more than 100 people gathered all responded by spontaneously repeating the prayer. Deborah suggested that Sustainable Development Goal #16 would serve as a bridge to a culture of peace that would draw forth the Divine Spark in all humanity, as stated in the Fuji Declaration. A small Peace Pole graced the altar through the opening indigenous prayer songs by Jake “Blackbear” Singer and inspiring speakers Dr. Kurt Johnson, Ben Bowler of 1God.com, Dr. Andrew Vidich, and Sharon Hamilton-Getz. Drs. 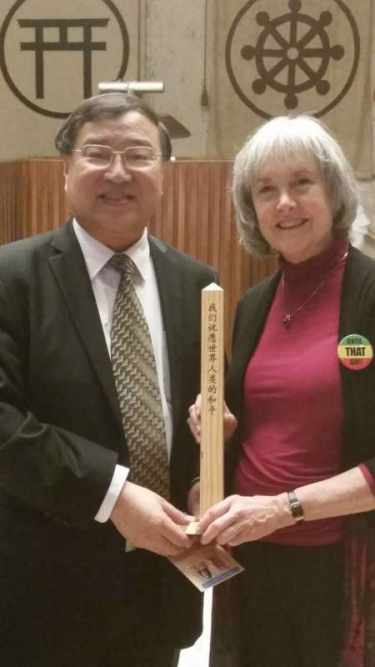 J.J. and Desiree Hurtak offered a meditation with stunning visuals on the large screen, including a shot from the WPPS event in the UN General Assembly and one showing Deborah with a large Peace Pole. There were numerous performances, including a rousing Reggae finale by Pato Banton and Antoinette. 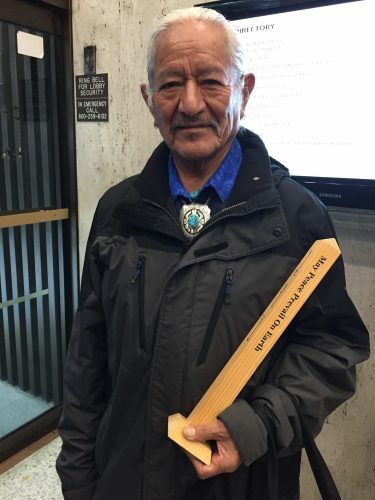 Later, Jake Blackbear told Deborah that he was headed to Washington, DC to offer a Pipe Ceremony inside the courtyard of the Pentagon on Nov. 4-5 with only 19 others invited. Deborah offered him the desktop Peace Pole to bring along, in alignment with the large Peace Pole inside the Pentagon chaplain’s chapel.